Today we’d like to introduce you to Courtney Goldberg. After working at a PR agency for about 6 years post-college, I started having kids and moved to a more part-time role. Fast forward to having my second child and I felt like I needed something new to hold my attention. My husband and I bought a mid-century modern house and took it down to the studs. After finishing work on the house and working with a great designer to do a few of the rooms, he put on the design breaks. I’ve never really had a green thumb, but I’ve always loved the warmth and inspiration plants bring into the home. My very white, angular home needed a serious color infusion. After seeing rootless or cut succulents around town in a few spots, my mind started to run with ideas. I felt more could be done with these beauties, so I started to play and build arrangements. 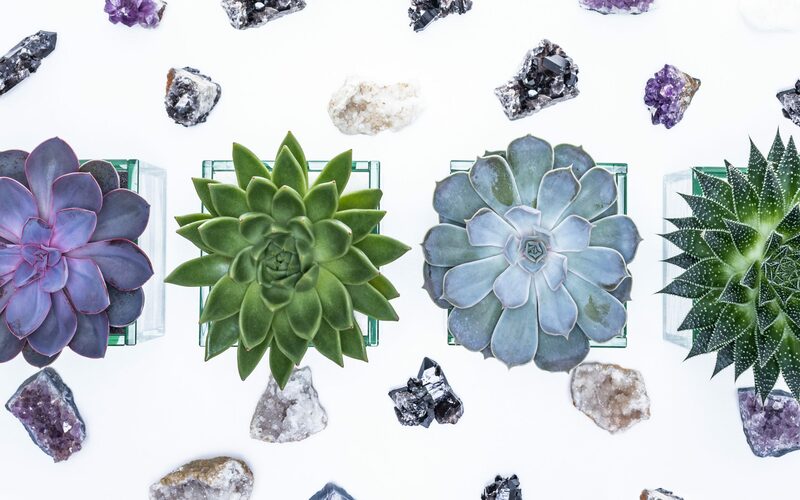 Also, being a busy mom of two, I was drawn to cut succulents because their no care regime and the ability to make arrangements last with a simple replacement of succulents. With a great deal of encouragement from friends and months of research under my belt, I started Urban Spikes in April 2016 and set out on a completely foreign path, plant design. Combining many aspects of nature and the interesting composition that would result was truly inspiring. 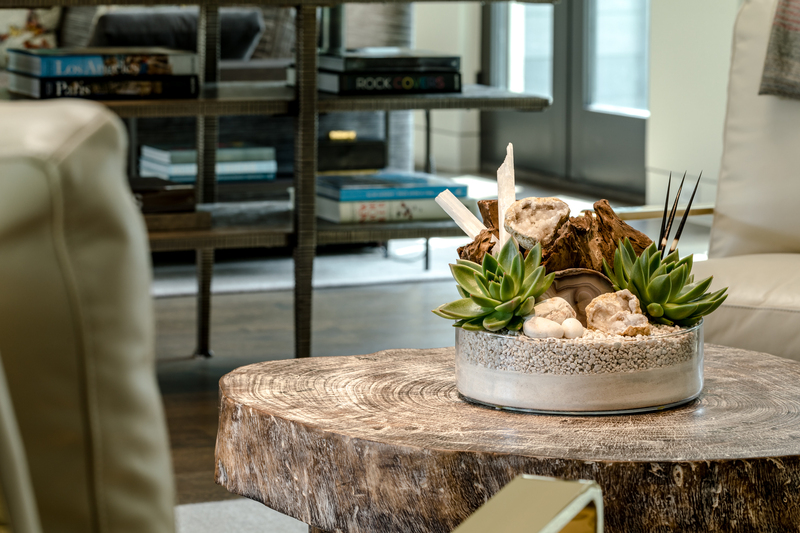 Wood, gemstones and so many other natural accents combined with plants creates a captivating aesthetic. Aside from cut succulents needing no care, dirt and roots inhibit how much you can do with a plant. There’s a lot of artistic leeway that takes place without the inhibitors of a regular plant, including sharp sand designs, gluing succulents on branches, etc. Almost two years later, my team has grown to 4 people and I’m working on my third baby (15 weeks along). I owe my growth to my sweet husband of 10 years, my live-in who supports me in so many facets, very loyal clients who continue to recommend me and several fabulous local partners that have supported my journey along the way (White Unicorn and Scout Design Studio to name a few). Certainly not, but I doubt I’d be where I am today business wise without the bumps. Disappointment, failure, and difficult clients help you realize how bad you want to achieve something and help you smooth out the kinks in your plan. I’ve tried not to put my business in a box until more recently so that the twists and turns have helped evolve my plan as opposed to hinder my growth. I doubt many business owners would say their road has been smooth, but I honestly think most would say the obstacles have helped shape their business and personality as a leader. One of my biggest struggles is kind of cliche, with a 3 and a 5-year-old and a baby on the way, being a present mom is tough. I guess I could say I have a fourth on the way because Urban Spikes is definitely like a baby to me. It needs a lot of time, attention and love to flourish and grow. I’ve worked to balance time between my kids and work baby. I’m lucky to have a supportive, hands-on husband that is always there to catch the hot potato and sub in whenever needed. So let’s switch gears a bit and go into the Urban Spikes story. Tell us more about the business. 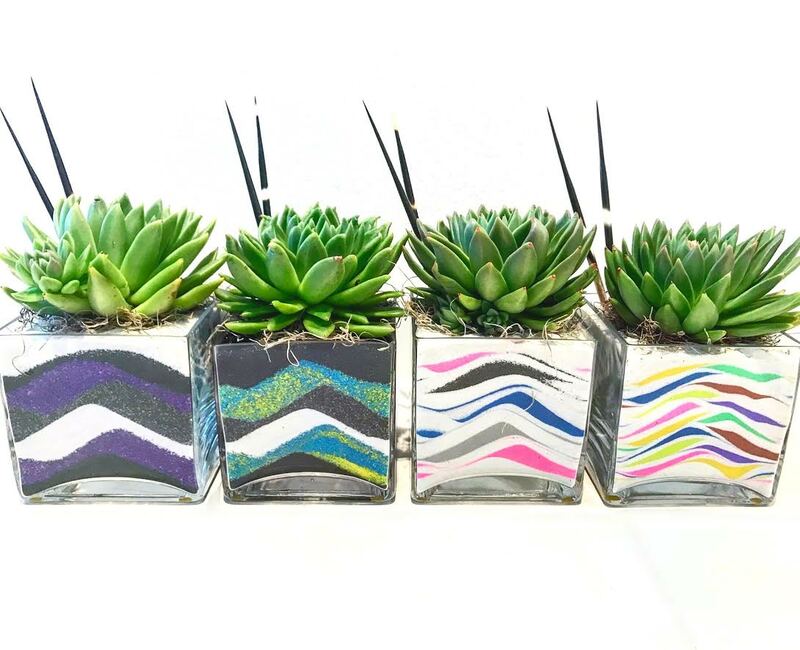 Urban Spikes specialize in innovative, effortless botanical designs. 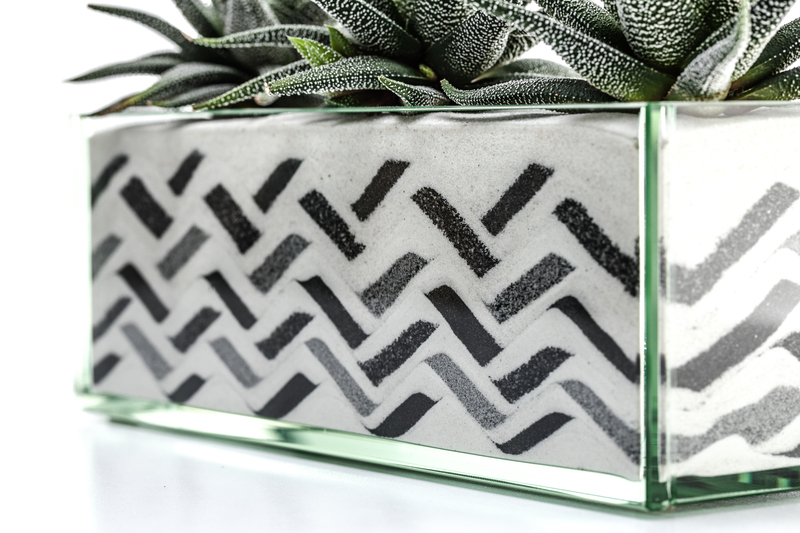 We wanted to make having indoor plants more approachable for all people, not just those with a green thumb. Clients can enjoy our designs without the stress of a watering schedule, as most people claim they can’t keep plants alive. 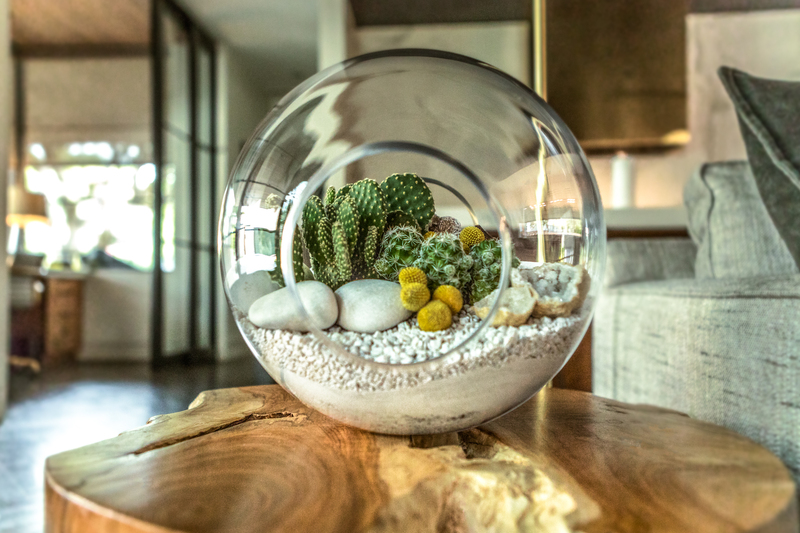 Our team works to create unique sculptural designs by incorporating custom sand art and eye-catching natural accents. I’d say people recognize our arrangements by their unique composition of natural accents and of course our meticulous sand designs. 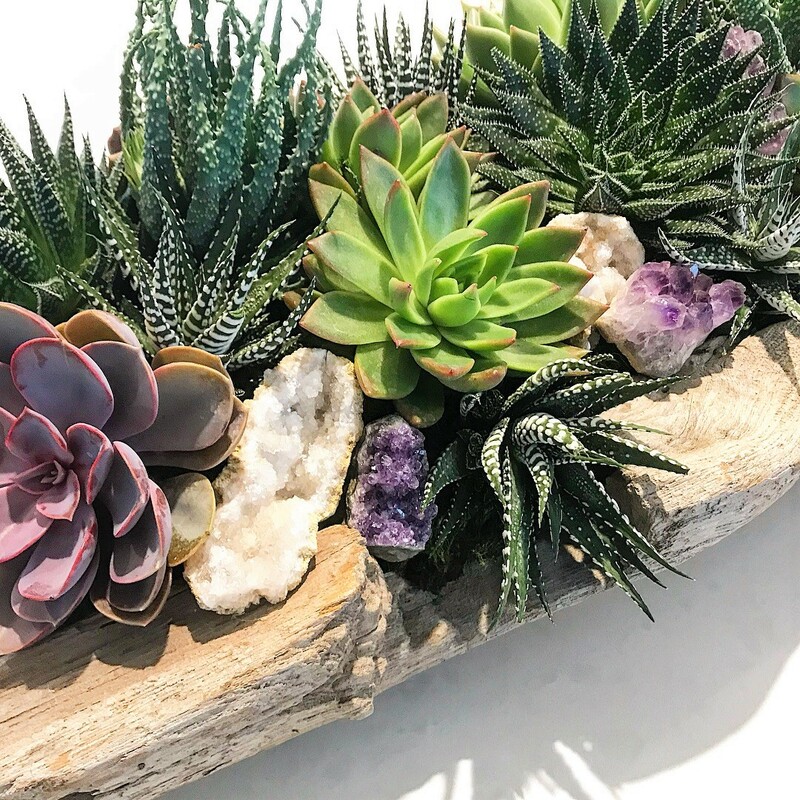 I feel like a lot of flower shops offer cut succulent arrangements, but it’s not their specialty, so I think that’s what sets us apart from the rest. 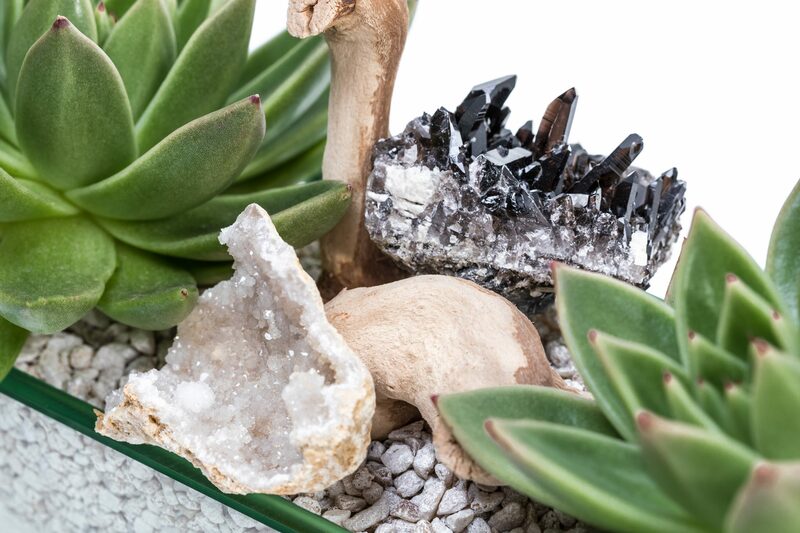 We solely work with cut succulents, cactus, and maintenance-friendly indoor plans so our offering is robust and we try to really capture what our clients are looking for to complete their space. Everything seems to be getting greener around us. Any home magazine you open has some variety of a plant in every shot. Plants are important for so many reasons and they look great too. While I feel we are in a very trendy time for cactus and succulents, I don’t think the need for low maintenance indoor greenery is going anywhere. As Urban Spikes continue to grow that will remain our focus and intention. We look for ways to grow and options that speak to those without a green thumb or that are too busy to make plant upkeep a part of their day. What a thoughtful and beautiful gift! I received one of Courtney’s designs for Mother’s Day. I could not have been more thrilled. I get attached to my plants and this one will be eternally special because it was given with love—and created by a gifted artist.